Some kids are happy to snack on carrots, raw peppers and hummus, while other kids would be happy to follow a carb-based “white” diet of pasta, rice and bread. Why are some kids so fussy about food? It turns out there a dizzying number of reasons your child may turn up his nose at mealtimes. A 2015 review of dozens of studies that date back to the 1990s that looked at kids' eating patterns found that fussy, picky or choosy eating habits were linked to and affected by everything from personality traits to parental control at mealtime to social influences to maternal eating patterns. Or it could just be your kid being, well, a kid. An important point to remember is that fussy or picky eating is normal in young kids, says Lee Gibson, PhD, a reader in biopsychology and director of the Clinical and Health Psychology Research Centre at University of Roehampton in London. And in general, overreacting or trying to apply strict dietary regimes to discourage picky eating tends to be counterproductive. And while the evidence of long-term health outcomes of picking eating following children into adulthood is somewhat scant, the evidence that does exist suggests picky eating tendencies don’t appear to be related to increased risk of becoming overweight or obese (that’s on the population level, looking trends of how picky eating affects most kids), according to a review of several previous studies on the topic that Gibson and his colleagues published earlier this year in the journal Current Obesity Reports. 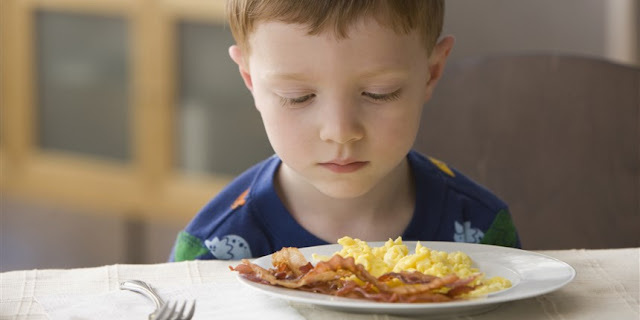 But pediatrician Tanya Altmann, MD, adds that if a picky eater isn’t getting enough good nutrition because of being too selective, in individual cases, picky eating (especially extreme picky eating) can lead to both short- and long-term nutrient deficiencies and other problems.